What is dyscalculia? Dyscalculia consists of a neurological alteration that causes profound difficulties when identifying numbers and counting. Sometimes this disorder is known as “math dyslexia”. Dyscalculia can be frustrating for children. They may feel as though they aren’t as smart as their classmates and get discouraged by consistently receiving poor grades on their math homework and tests. For a child with dyscalculia, they often times don’t know there is a problem. Parents and teachers are not as well-trained to look for a math learning disorder, so it often goes overlooked. Some dyscalculia symptoms and signs are not being able to do mental math or work with abstract ideas. 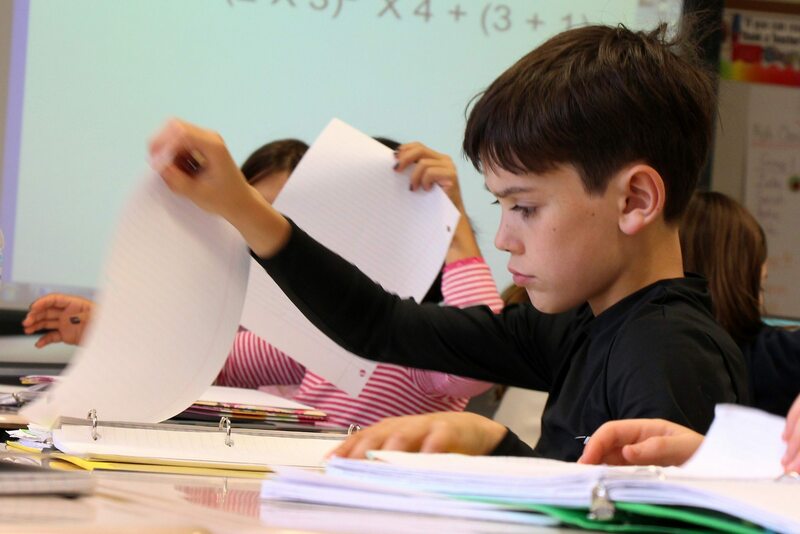 Children that have dyscalculia have trouble finishing homework or exercises for school. You can find a more complete list of dyscalculia symptoms here. If you are not sure if your child has a learning disability related to math, you can always do a dyscalculia test online to find out. It is quick, and will give you a better idea of how to proceed. Some degree of math learning disability affects between 3% and 6% of children, but this number is just an estimation. In order to get more reliable data, the school of Psychology at the University of Barcelona proposed “an exploration of boys and girls who may have dyscalculia”. They suggest this dyscalculia test online to help parents find out if their child has dyscalculia or not. If your child finds it too hard to complete this online test, they may have this learning disability. In this case, you should seek help from a professional to get a more specialized diagnosis. Count out loud: Ask the child to count backwards from 11 to 3, and from 23 to 5. It is normal that young children (6-7) make a few mistakes. Say the numbers: Orally dictate a series of numbers and have the children write the number. Mental math: Tell the child to solve math problems out loud using simple math problems, like adding, subtracting, and multiplication. 6 year-old children may have trouble adding, while 8 year-olds may make mistakes subtracting and multiplying. Younger children don’t need to do this portion and older children shouldn’t make any mistakes. Point naming: First, put 15 round chips on a piece of paper so that they form a figure. Give the child 30 chips and tell them to put the same amount on the paper. They don’t need to be the same shape. Make small figures, between 5 and 10 chips, and have the children count each person’s chips. They should not make mistakes in either of these activities. Children 6-7: place numbers 5-78 on the line. They can make one mistake. 8-11: put 10, 29, and 89. They can have one mistake.